The Abilene city buses stop running at 6:15 pm. So on Wednesday nights most of the Freedom Fellowship community who use the city buses can use them to get to our meal at 6:00. Worship follows the meal at 7:00. But what that means is that when worship ends around 8:00 a large part of the Freedom community can't get home on the bus. Consequently, an important part of Freedom is helping get everyone home after church. We have a van but there's not enough seats for everyone. So we do a lot of car-pooling at the end of services. I've got a regular crew I take home every Wednesday night. Josh, Henry, Robert and Judy. The five of us have been spending Wednesday nights together for the last two years. Mainly I'm just dropping everyone off, but sometimes we go get ice cream at Dairy Queen or stop because someone needs to pick up something at the store. Josh and Henry love music so I turn control of the radio over to them. Josh and Henry are both Hispanic so they inevitably tune the radio to 93.3 FM. 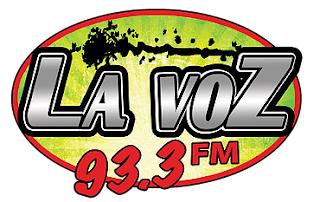 La Voz, our local Tejano station. So Wednesday nights has become the night where Josh and Henry are educating me about Tejano music. It helps that on Wednesday nights La Voz does a weekly countdown, the Top 8 at 8, a rundown of the week's most requested songs. That countdown is right when we're driving home from Freedom. Right now, my favorite song is one from the band Siggno, clocking in at Number #2 this week. "That, my friend, is a good song," I say to Henry. And he turns the volume up.